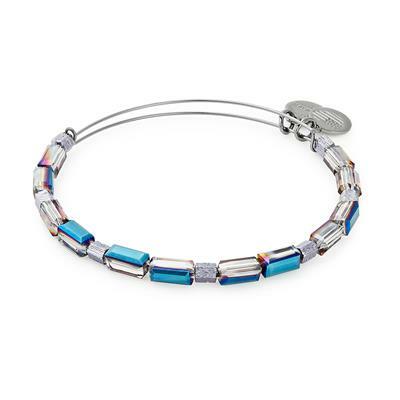 This beautiful silver wire bangle by Alex and Ani features metallic beads to add texture to any bangle stack. The mesmerising colour of the blue toned beads is similar to the spectacular Northern Lights. Wear alone or as a stack to add a stunning touch to any outfit.